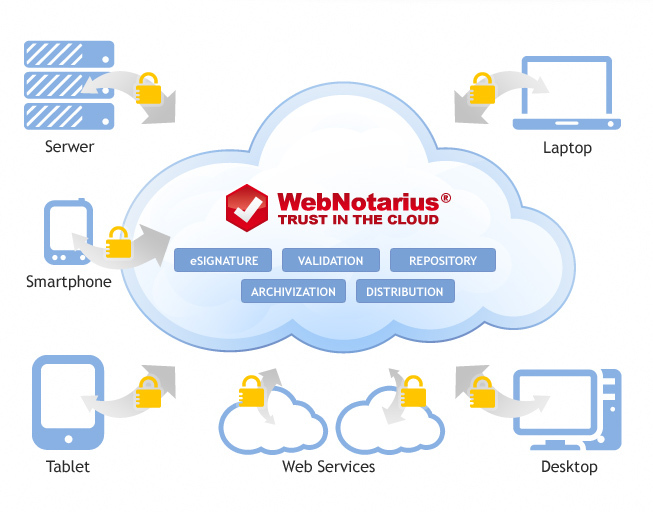 WebNotarius is a modern and truly convenient method of authentication of certificates and verification of thevalidity of electronic signatures. The most important feature of this service is the fact that it is on-line, in the clouds, without any necessity to install special software on any computer. Thanks to the free WebNotarius service users gain freedom and 100 % reliability, irrespective of the equipment used and current location. WebNotarius uses European Trusted Service Status Lists (TSL), which allows the authentication of any of the hundreds of different certificates issued in the European Union and Russian Federation countries. The verificationprocess each time ends with the issue of a verification proof of service that may be used to settle disputes. 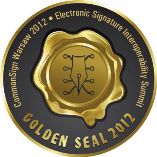 WWebNotarius creates a safe environment for applying e-signature, available through a simple web browser. The electronic document in the form of a PDF file is signed in compliance with the PAdES standard. Thanks to the above, the signature added to the document structure is presented in free Adobe Reader software. additional services in the Premium version.